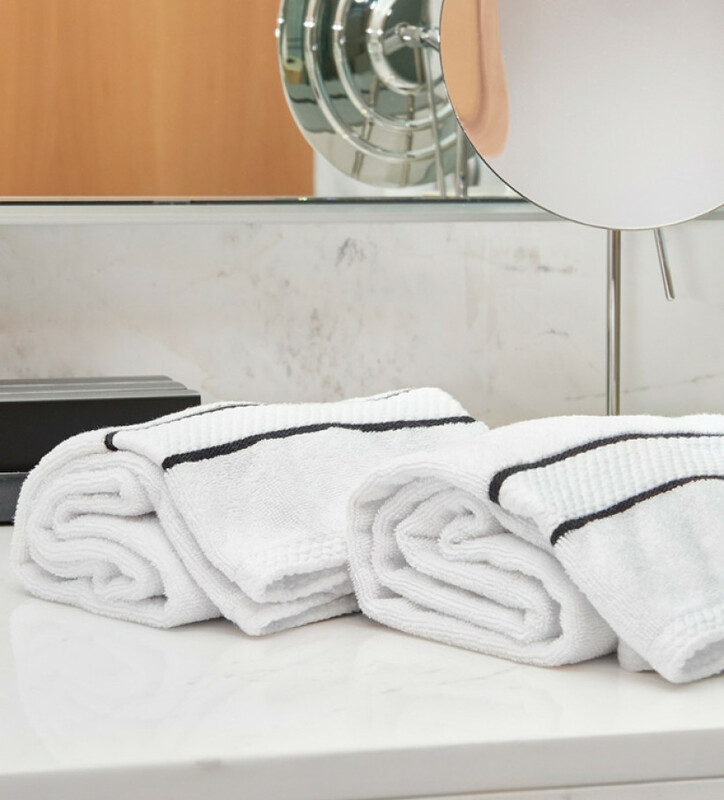 Carefully choosing the towels to dry yourself with is an important part of taking care of your body. 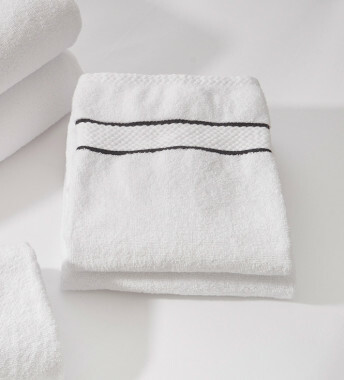 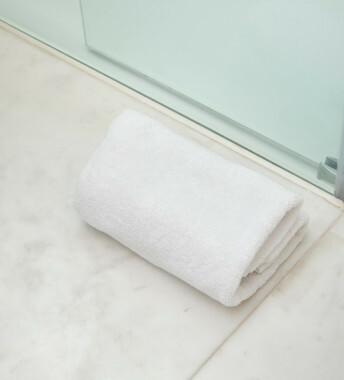 This gentle, absorbent hand towel in a luxurious 480 gm, 100% cotton towelling fabric stands out for the high quality of its organic fabric and for its stylish, contemporary design. 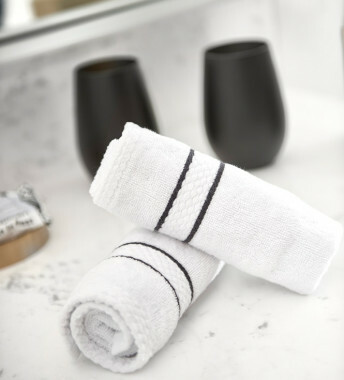 A tasteful style in classic white set off with two smart black stripes. 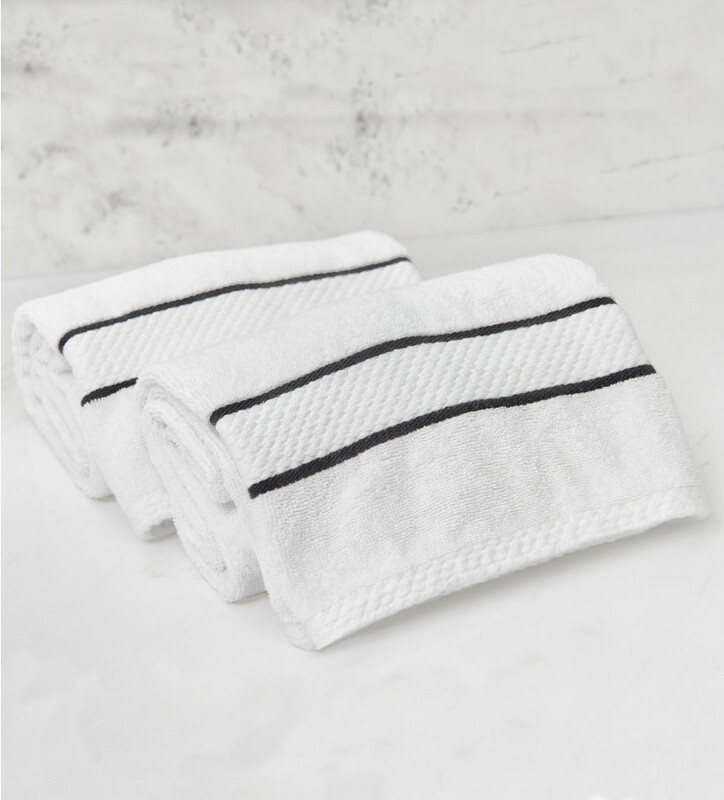 It forms part of a complete set of bath towels in supremely indulgent organic cotton with pieces available to purchase separately.